Some time ago I deployed vRealize Automation with vRealize Orchestrator embedded in the appliance in my home lab and I’m not very experienced yet with vRA and vRO. 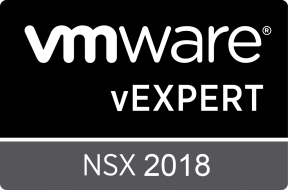 The reason that I deployed it is mainly that I want to get more hands-on experience with vRA and vRO and eventually use the gained knowledge for customers. vRA was already running for a couple of months, and all the frontend self-signed certificates were already replaced by my Microsoft home lab CA issued certs. When I started using vRO, I noticed that the certificate was not replaced yet and that the appliance was still using the default self-signed one. I started googling how to replace the vRO certificate and found the following official VMware documentation. This article states that you can trust the already installed custom certificates in vRA. I executed every step from the official VMware guideline but was unsuccessful to replace the vRO certificates with the procedure. Fortunately, I was able to replace the certificates with another procedure. One of my ITQ co-workers Marco van Baggum already wrote an article about vRO certificate replacement back in 2015. This article was written in particular for an external vRO appliance and is also based on an older version and therefore not completely accurate anymore for my current situation. But it’s a pretty d*mn good article to use as a reference. When I was talking with Mischa Buijs (another ITQ co-worker) about the problem I was facing, he suggested just to follow the procedure for an external vRO appliance to get the certificates replaced. Actually, this wasn’t a bad idea at all. With some help from Mischa I was able to successfully replace the embedded vRO certificates with this procedure. Create a *.pem file containing the intermediate and/or CA certificate. I prefer to do this with Notepad++. In this procedure, we are calling it the chain.pem. Our private key file is called vra.key and the issued certificate is called vra.cer. 3. Upload the certificate file to the vRA appliance. *if the command requests an additonal password please enter the ‘dunesdunes’ password since it is the password of the imported vra.pfx certificate file. When the vRA appliance has booted and the embedded vRO services have been started you should be able to see that the newly imported certificate is used for the vRO front-end. Once again, many credits to my ITQ co-workers Marco and Mischa. Follow them on twitter and visit their blogs for awesome articles!